The Director of Global Jewelry Manufacturing Arts at the GIA recently stated that regular maintenance can ensure a diamond never loses its luster. However, it’s important to be careful of the method of cleaning selected and the chemicals and products used. Additionally, avoid the use of ultrasonic home cleaners especially if the ring features pavé set stones as they could become dislodged with the vibrations generated by the machine. A lot depends on how the diamond became dull in the first place. There are times when only a jeweler should clean it. For regular maintenance at home, however, here are some tips on how to clean a diamond ring safely. 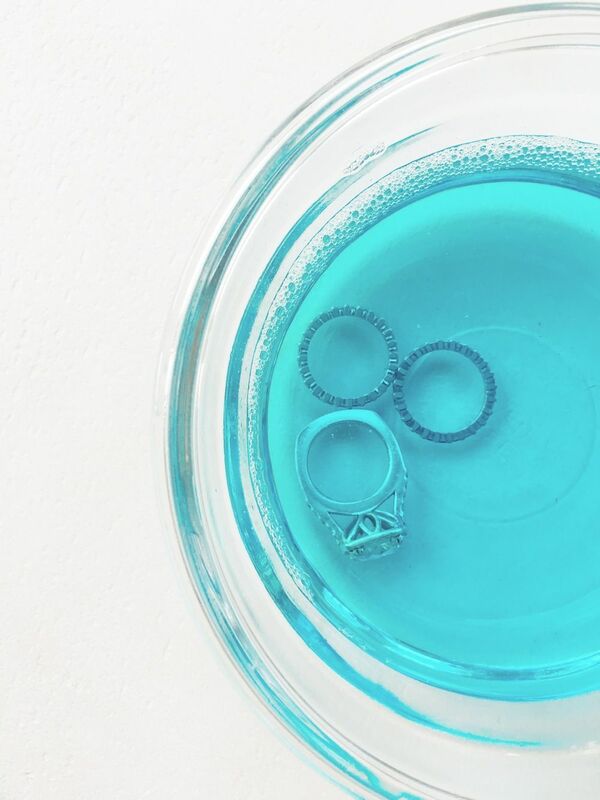 When your ring becomes dirtied by common cosmetics, this simple solution works best. 1. Put 1/2 cup of warm water in a small bowl. 2. Add 1 tsp of Dawn dish soap. 3. Mix thoroughly with a fork. 4. Place the diamond ring in the solution for 20-40 minutes. 5. Gently brush the stone with the toothbrush, especially around the tines and under the setting. 6. Rinse under warm running water and dry with a soft cloth. 7. 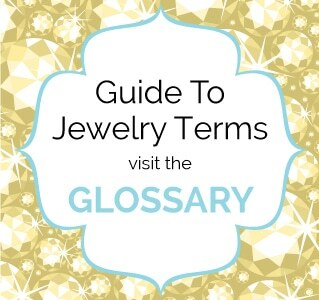 Check the luster and repeat the process if necessary. To remove the daily build-up of dirt while killing bacteria that may be clinging in cracks and crevices try this method. 1. In a small bowl mix a solution of 1/4 cup of Windex and 1/4 cup hydrogen peroxide. 2. Mix thoroughly with a fork. 3. 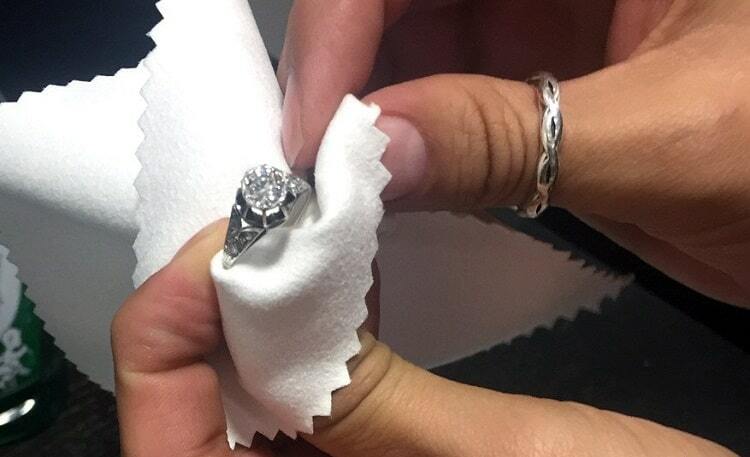 Place the diamond ring in the solution and allow it to sit for 10-15 minutes. 4. Gently brush the ring with a soft toothbrush. 5. Rinse thoroughly in running warm water and dry with a soft cloth. This compound creates a bubbling action that can help dislodge stubborn build-up around tines. It’s important, however, not to rub or scrub the ring with the solution as it could scratch the surface of the stone. 1. Put 2 tbsp of baking soda into a medium bowl. 2. Pour in 1/2 cup of white vinegar. You’re going to get quite an eruption when the two ingredients are combined which is the natural reaction when the vinegar hits the baking soda. 3. Mix thoroughly with a fork until the baking soda completely dissolves. 4. Soak the ring for 2-3 hours. 5. Rinse the ring thoroughly under cold water but do not scrub it as the baking soda can be abrasive. 6. Allow the ring to air dry on a soft cloth. 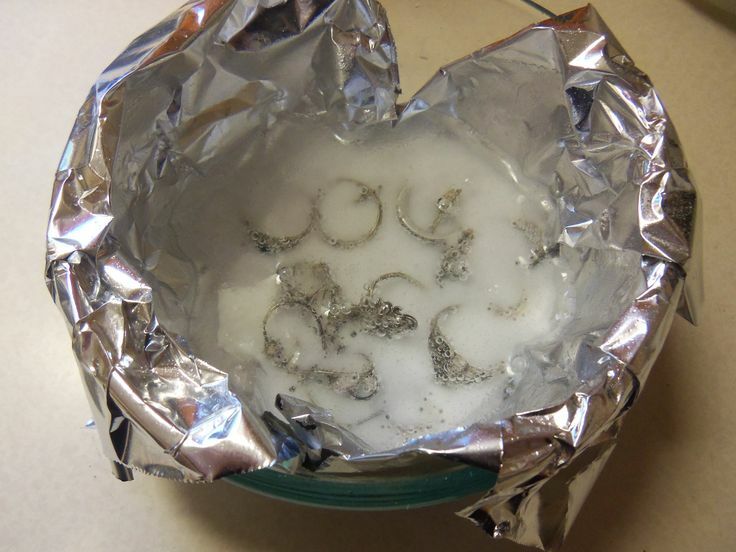 This method works really well for diamonds in a silver setting as the chemical reaction removes tarnish. 1. Place a small amount of ketchup in a small bowl. 2. Soak all silver in the ring in the ketchup for a few minutes. 3. Use a soft toothbrush to work the ketchup into all crevices around the stone itself. 4. Rinse the ring thoroughly in warm water and dry with a soft cloth. 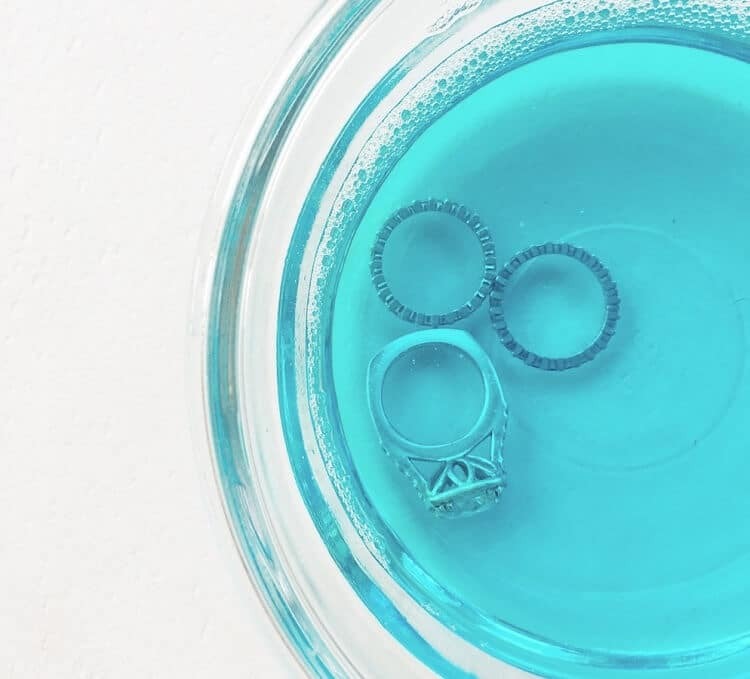 Quick dips are commercially available and designed with different chemicals that are targeted at cleaning the type of metal setting the ring is made of without harming the stone. Just make sure it mentions on the label that it’s not abrasive and is made for diamond rings. 1. 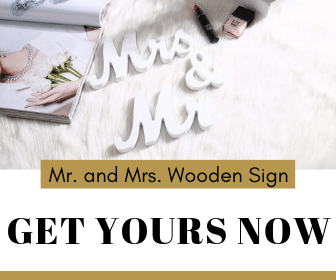 Read the label and recommendations for your type of ring thoroughly. 2. Pour a small amount of dip liquid into a small bowl. 3. Soak it for the length of time recommended on the label being careful not to go over the time allowed. Note: Quick Dips do not get rinsed off. 4. 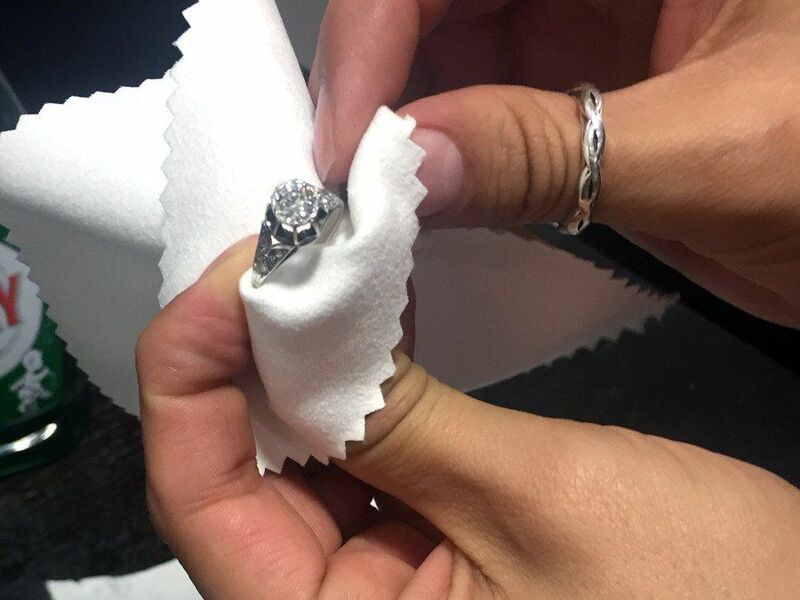 Set the ring on a soft cloth and allow it to air dry. Do not dry it yourself or touch the diamond with your fingers after cleaning as the natural oils on your hands can leave a film. These household products work really well. However, you need to be very careful especially when it comes to using ammonia. 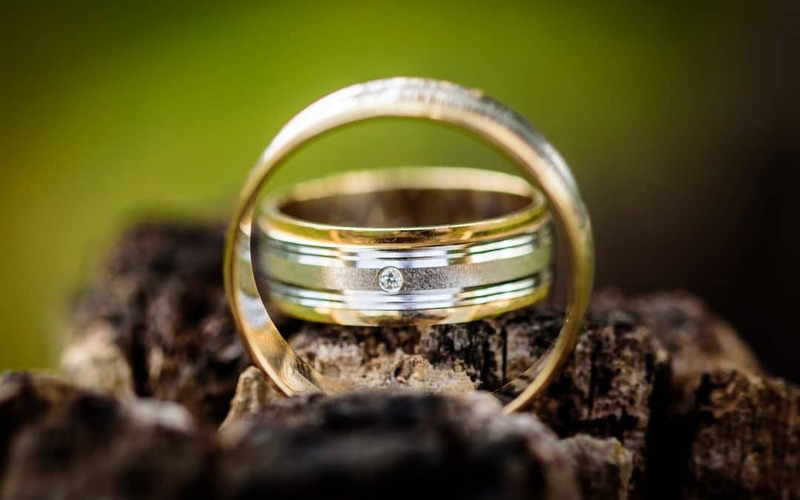 The chemicals could alter the metal of the setting so if you see anything that raises concern just stop, rinse the ring thoroughly and try one of the other methods. 1. Remove the ring, set it aside and put on the rubber gloves. 2. Mix 1/4 cup of ammonia with 1 cup of warm water in a small bowl with the wooden spoon. 3. To loosen dirt and grime, place the ring in the solution and allow it to set for 20 minutes. 4. While it’s soaking, in the 2nd bowl mix a solution of 1 cup of warm water and 1 tsp of Dawn dish soap thoroughly with a fork. 5. At the end of 20 minutes while still wearing the rubber gloves, remove the ring from the ammonia solution and swish it in the dish soap solution. 6. Using a toothbrush, scrub the ring gently making sure you work the bristles into all the nooks and crannies especially between the diamond and the setting. 7. 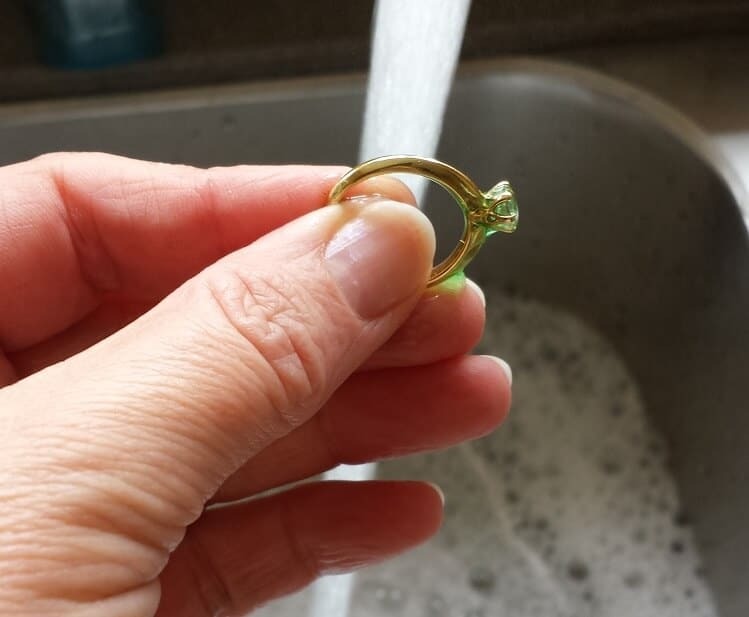 Rinse your ring under running warm water then allow it to air dry on a soft cloth. Just be sure you get all the soap off your ring as, otherwise, it will leave a dull sheen. 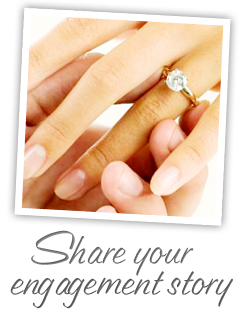 Diamond rings sparkle because of their facets. They work like tiny mirrors that reflect the light as it travels in and out of the stone. Regular maintenance will ensure it remains sparkling, in perfect condition and ready for your next outing.